I spent most of last year investigating the world of in-ear sports earphones. 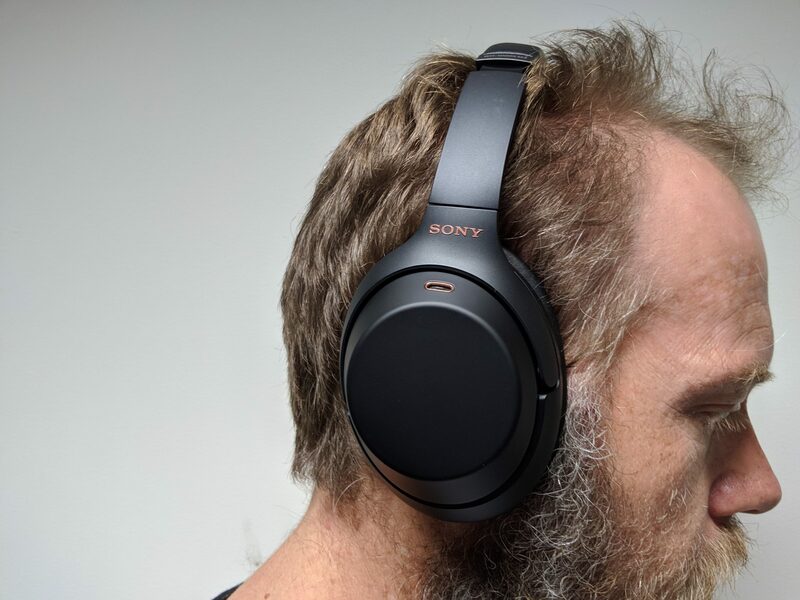 I haven’t had many to look at this year, so I thought it time to look at the other side of the headphone range with some noise-cancelling over the ear cans from Sony – and why start at the bottom of the range when their latest flagship headphones the WH-1000XM3 are now available. At $499.95 RRP these are serious cans for a serious price. But the list of specs and features promise a lot. The gold standard at this price range for noise-cancelling headphones seem to be the Bose QC35 and the QC35 II model with built-in Google Assistant support. Sony announced the WH-1000XM3 at IFA in September with Google Assistant built-in as well and the early buzz is that these cans are the new standard. I’ve been using the headphones for a couple of weeks and well, in short, these headphones are awesome. For a more expanded explanation, read on. The price of the headphones essentially defines you’ll get everything you could need or want in the box. Hardware wise, you get the WH-1000XM3 headphones as well as a nicely lined hard case to store the headphones in. You also get a 3.5mm cable and an airline adapter, and USB-C cable which all fit neatly in the hard case. 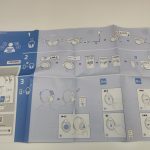 As well as the hardware, you also get a bunch of documentation including a reference guide, quick start and a massive double-sided sheet showing you the controls to use the headphones. 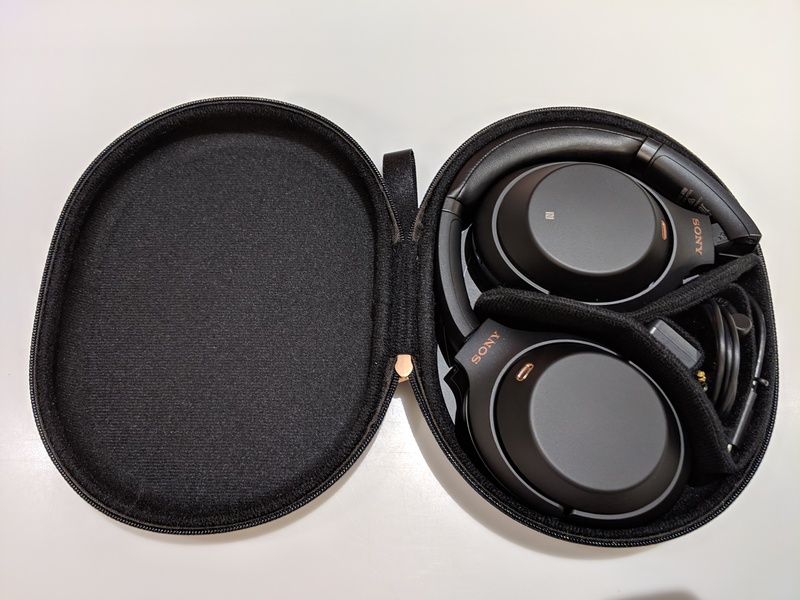 I’ve not had the chance to check out the previous generation 1000XM2 headphones from Sony, but by all accounts they were quite comfortable, the 1000XM3 are as good, if not better. 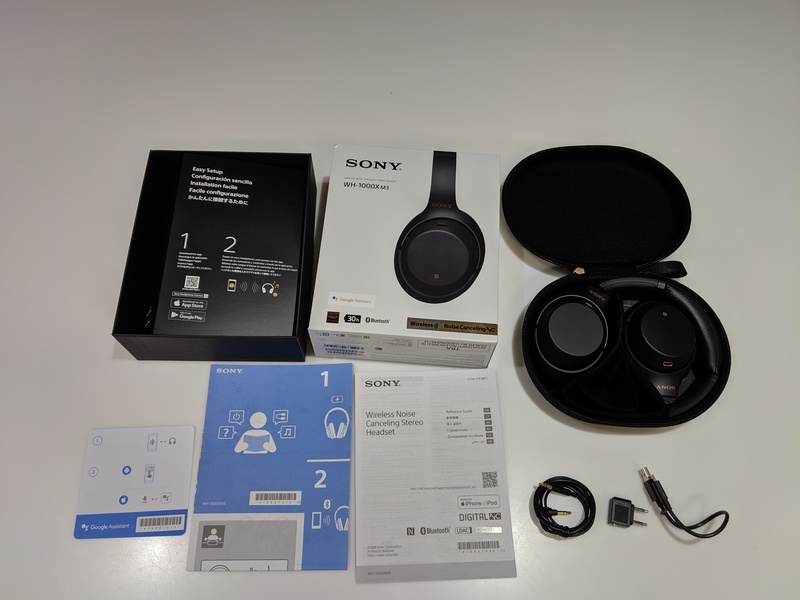 I tend to listen to podcasts, audio books and sometimes music for most of the day, I’ve worn previous headphones and found them to be quite uncomfortable after a few hours, not so the Sony 1000XM3. The band over the head is made of metal with plastic sections covering the extendable components that resize the headphones to a perfect comfort for your head, and the top is covered in a leather-like material with plenty of padding. This padding combined with the light-weight design of the headphones means you don’t get a sore head after wearing them for an extensive period. The headphones are wireless of course, using Bluetooth 4.2 allowing for Low-Energy connections. There’s also the option to connect them via a 3.5mm cable to an audio source, an intriguing problem in these days of phones being launched sans headphone jack. 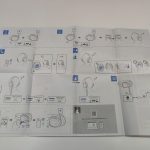 But it does make it easy to connect to an audio jack on a plane – especially with the dual-prong adaptor provided in the box. The ear cups are just as soft and comfortable with the super soft urethane pads encircling your ear (even larger ears like mine) with a good amount of depth and making for a good seal. These pads combined with the Active Noise Cancelling, helps with the headphones ability to create an isolated auditory experience. The only time I don’t recommend wearing the Sony headphones is when exercising. There’s no IP rating, so not even for sweat and the only downside to the luxuriously soft padding for the ear cups is that sweat does not feel great when wearing these. The Active Noise Cancelling (ANC) is the big feature for these headphones, and it’s for a good reason: It’s freaking awesome. 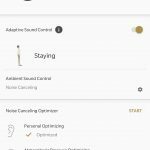 To achieve this best-in-class noise cancelling Sony has built a custom chip – the QN1 – which they say offers four times better noise cancellation than their previous chip. The QN1 doesn’t just block out road noise from vehicles you’re travelling in – because it works like an absolute charm when flying, driving or on a train – but it also is designed to block out any noises you hear when walking through a city like voices and background noise like construction. The headphones also allow for a lot of customisation of the ANC, with the Sony Headphones Connect app available in Google Play. The app allows you to reset the ANC to your personal preference, load up and adjust the equaliser and set up multiple active profiles depending where you are. The app also has quick pairing using the NFC chip in the left headphone cup to pair seamlessly for new users. There’s some neat customisable options in the app, including the ability to change noise profile to suit the source. 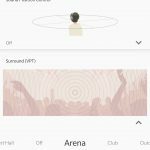 For example if you’re say listening to a bootleg recorded live at a concert you can switch to a Concert Hall or Arena setting to mimic the effect. It’s surprisingly good at adding ambience to the music including boosting the bottom end for the Club setting, or giving a spatial effect for Arena that’s got to be heard. If for some reason you like to offset where the music is coming from then the Sound Position setting is for you. You can set the sound profile to come from multiple directions including directly in front of, or offset to the left or right at the front or rear. While you can get caught up in your music, podcast, audiobook etc. 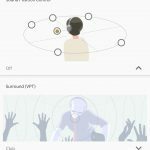 you can also quickly switch back to the real world with a pass through mode that allows you to hear what’s going on around you by placing your hand over the right ear cup. The right ear cup also support gestures for controlling track playback, volume and play/pause. To play/pause music or answer a call simply tap on the right ear cup, to raise/lower volume is a swipe up/down and you can control tracks by swiping backwards or forwards (Left/Right). It’s quite intuitive. The Sony WH-1000MX3 headphones are also able to use Google Assistant to read out messages and respond to queries. 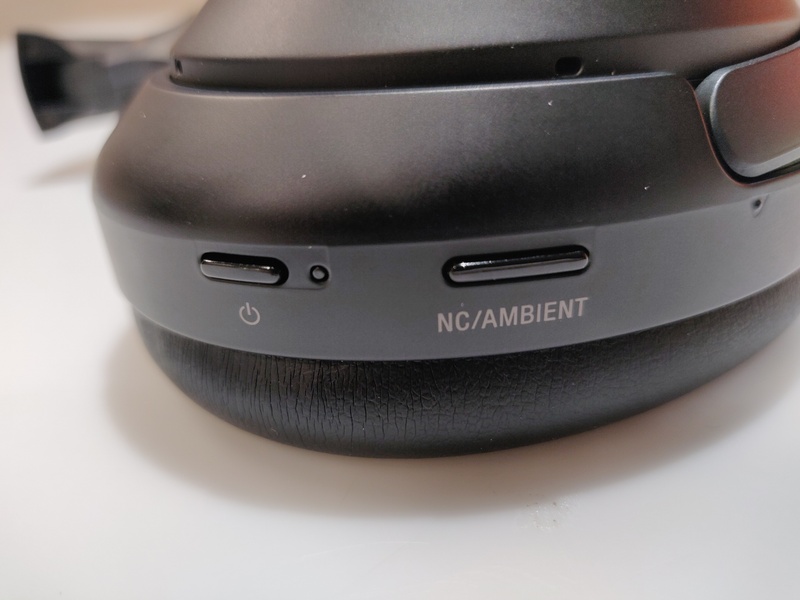 You have to turn this on in the Headphones Connect app, then access the Assistant by pressing and holding the ANC button on the left cup to read out notifications when you hear the notification beep. Sony includes 40mm, dome type drivers in the ear cups contributing to some of the best sound I’ve heard from any pair of cans on the market. The complete range of sound is represented and is amazing at every level, from the deep bass of a heavier metal style song, to the higher end sound of a boppy pop song it’s all there. Even mid-range from spoken word on podcasts and audio-books sounds amazing. To truly get a feel for the sound I even went to the effort of paying for, downloading and listening to FLAC files – and it’s worth it, it sounds amazing. 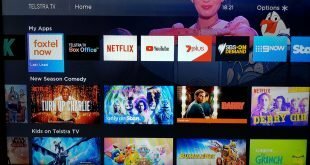 The quality of sound is due to Sony’s LDAC, a technology which allows them to stream three times as much data as normal over the Bluetooth connection – or in more technical terms up to 990kbit/s at 24bit/96KHz – in more laymans terms it’s amazing. 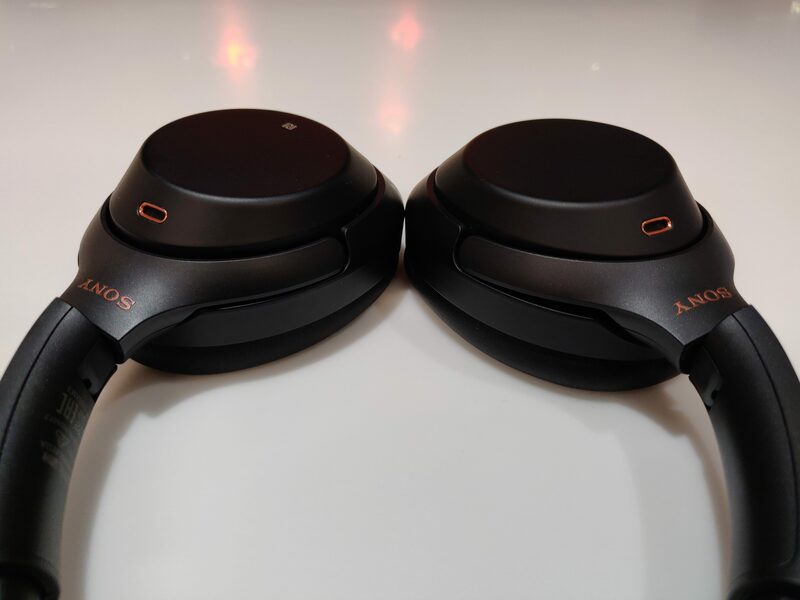 Any pair of wireless headphones are subject to criticism about the battery life, but I’ve got no qualms recommending the Sony 1000WH-XM3 headphones. Sony says you’ll get 30 hours of use out of the battery with ANC on and I can’t fault this, in fact I’d say they were conservative. If you’re a traveller and happen to want to head over to Europe, the battery life should get you all the way over there with a brief layover, and by anyone’s standards, that’s impressive. Recharging is similarly fast, with the use of the included USB-C cable into the port located on both the left and right ear cups able to provide power to the headphones quickly. For a pair of headphones to give this sort of quality of sound with 30 hours of use including ANC is impressive setting a new standard for high-end consumer headphones. If you have the budget there’s no denying that there’s a new leader in sound quality and battery life in the consumer headphone space. Sony has created something special with the WH-1000XM3 cans. Music and audio is a very visceral experience for many people and these headphones offer the option to be transported away to your own personal happy place without the intrusion of annoying everyday sounds. It’s clear to anyone who has the happy chance to try on a pair of these headphones that Sony has taken the lead here and it’s going to take something special for them, or anyone else to top them. Have you tried the Nuraphones? I’d like to see a comparison. It would be nice to see a variant pair of these be released with cloth covered headband and earpads. Summer humidity and perspiration is as ordinary in Japan as it is here, so why not design to account for that? Battery and cushion failures can cause your headphones to have a very short life. In my previous Sony headphones, the cushions wore through really quickly, revealing the yellow foam underneath, and can’t be replaced. Lithium ion batteries have a usable lifespan of around three years. I want my headphones to last longer than that. I don’t understand why everyone is raving about comfort with these. I purchased a pair a week ago, and when wearing them for over an hour, they apply just enough pressure on your ear to become extremely uncomfortable. There’s no possible way I could wear them for extended periods of time (e.g. a flight). So disappointed, as the sound quality and ANC is great! By comparison, the Bose had a deep enough ear cup that your ear never touches the headphones. I’m typing this while wearing 1000xm3. Previously I had 1000xm2. “custom chip – the QN1 – which they say offers four times better noise cancellation than their previous chip”…..
That doesn’t translate to 4x better NC than with 1000xm2! It’s only marginally better. Battery life is about the same as the model it replaces. Comfort – wow! What a difference! Connection quality: Bluetooth connection is *much* better now! It’s way more reliable without drop-outs on my Samsung S8 Plus phone. Overall, it was well worth the upgrade. Currently $399 at JB Hi-Fi. Good price. I tend to put the RRP in the reviews because the retailers change them on-sale so rapidly. Yes, makes no sense to include anything but RRP in the articles. I just posted in case anyone was looking for a pre-Xmas bargain.